Kingsport is a great city to find something to do outdoors. We have many natural resources within a 10-minute driving distance, why not take advantage of them? A local Kingsport nature preserve, Bays Mountain is full of adventures and things to see! Did you know you can take a barge ride around the lake or ride on the 300-ft zip line? If climbing is your skill, try out the adventure ropes course! It’s not only a haven for hikers and mountain bikers, offering roughly 40 miles of trails, but it’s also for animal observers. A nature center with a state-of-the-art planetarium theater features example animal habitats while the paved walking trails around the center provide visitors an up-close view of local wildlife. Visitors can see wolves, deer, bobcats, raptors, reptiles and more. For more information, visit www.baysmountain.com. The Kingsport Greenbelt is paved multipurpose trail connecting neighborhoods, parks, downtown commercial districts, schools, and activity centers. It features a pathway that meanders along gentle streams, wanders through marshlands, glides across open meadows, and passes historic buildings and houses that have been preserved and restored. Along the Greenbelt, travelers can use water fountains and refill stations, picnic shelters, playground and benches. Fishing piers and boat ramps can be seen and accessed on the Netherland Inn side of the trail. The 9-mile trail is accessible throughout the city of Kingsport, with popular spots being behind PetSmart and Riverwalk Park. For more information, visit www.kingsportparksandrecreation.org. Because mountains and the Holston River border it, Kingsport offers many opportunities for adventures. Throughout the summer, the river is full of kayaks, canoes, small boats and even river tubes. There are locations along the Greenbelt between mile markers 7 and 9 to access the river. Boat ramps, fishing platforms and picnic areas are open to the public. For more information on river activities, visit www.kingsportparksandrecreation.org. The river area is also a great location for bird watchers. To find out more about bird watching in the Kingsport area, visit www.kingsportbirdingtrail.com. Attention mountain biking fanatics – located on the shores of the Patrick Henry Reservoir on the Holston River, Warriors’ Path is home to an internationally renowned mountain bike trail system (which is a designated National Recreation Trail). The 950-acre park is also home to premier boating and fishing activity, hiking trails, an award-winning nature education program and a nationally recognized golf course. For more information, visit www.tnstateparks.com. Kingsport Centennial Park –Coming July 2017! After careful study and community input, the Centennial Commission developed a plan for a financially feasible and sustainable legacy project. This park is a gift we give to the city for current and future residents of Kingsport to enjoy. Located in the historic district of Kingsport, Centennial Park will feature an interactive water fountain, historic brick walkway, greenspace, benches and public art pieces! In August, a grand opening park party is set to be the first official event! 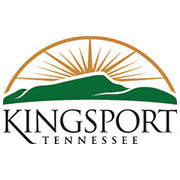 For more information, visit www.kingsport100.org.